For school age audiences, Mr. Burgess performs a multicultural program narrating the history of Spanish, Indian, African and American jazz influences in Latin American music. 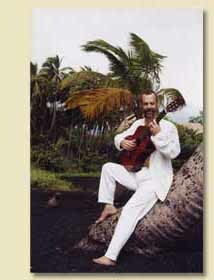 The program begins with Spanish guitar music from the time of Columbus, then illustrates how that blended with Inca Indian melodies, Spanish flamenco, the rhythms of African slaves, and American jazz to create a variety of Latin styles: Argentine tangos, music of the gauchos, Brazilian sambas, Venezuelan joropos, Peruvian valses and Caribbean merengues. The program emphasizes how a combination of influences from various cultures can greatly enrich art forms. Mr. Burgess includes a narrative with fascinating information about Latin American history and culture along with vivid musical descriptions. With the popularity of guitar and the upbeat, rhythmic music of Spain and Latin America, this program has been enthusiastically received by students from fourth grade through college. High school students often respond with standing ovations.